Spring Break is here! This year we decided to do a return trip to Hawaii. 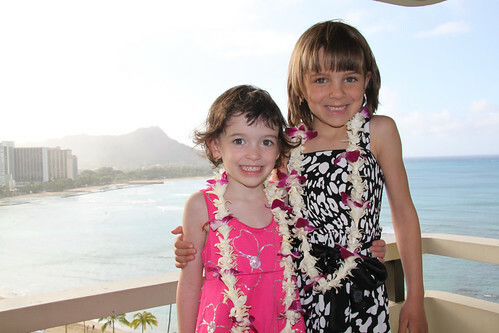 Reagan hasn’t ever been to Hawaii but her older sister has. Of course, Sydney doesn’t remember an ounce of it but that doesn’t stop her from telling Reagan about how Hawaii is magical. 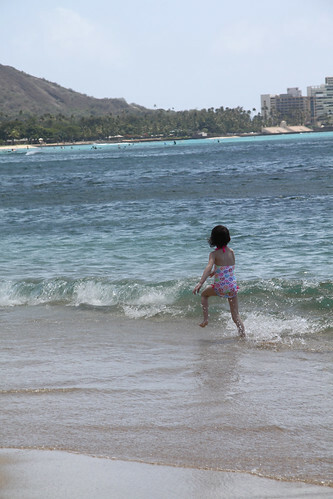 Whenever we joked that we couldn’t go on vacation for some reason, Reagan would start to cry “…but I have never been to Hawaii!” On this trip, we decided to come to Oahu. We knew it would have many kid-friendly destinations which is key when trying to entertain a whole family for a week. It is a long plane flight half-way across the Pacific but nothing a Nintendo DS and a few games couldn’t help. Let the party begin! 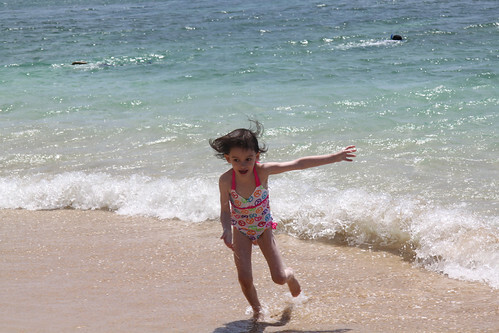 Reagan’s routine is basically to run down into the ocean as the waves go out and then run back up the beach screaming as they come in. I don’t think she is actually terrified — she just enjoys the chase. Finally, when that gets old, she plays in the sand and follows Sydney’s every move. Reagan is always our timid one but it looks like she is having a great time so far. 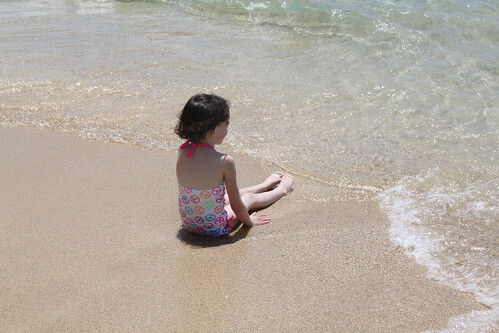 Now, if I could only get her to swim! The beach seems to be the big attraction with the girls so far. We have spent zero time at the new multi-million dollars kid’s pool at our hotel. They are enjoying the sand, sun and surf too much. Have a look! Oahu – Day 1 from Brandon Fuller on Vimeo.